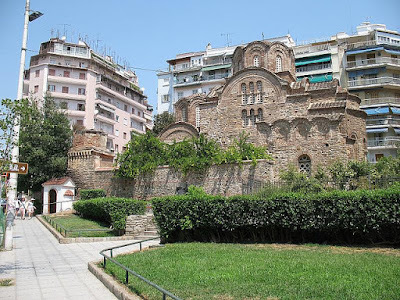 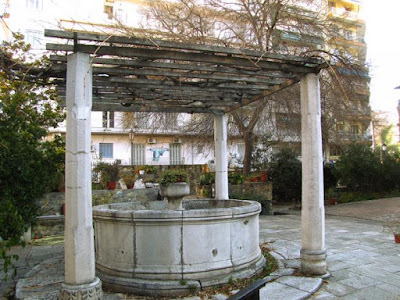 The church lies in the eastern part of the old city, near the Tomb of Galerius (the "Rotunda"), at the junction of Iasonidou and Arrianou streets. 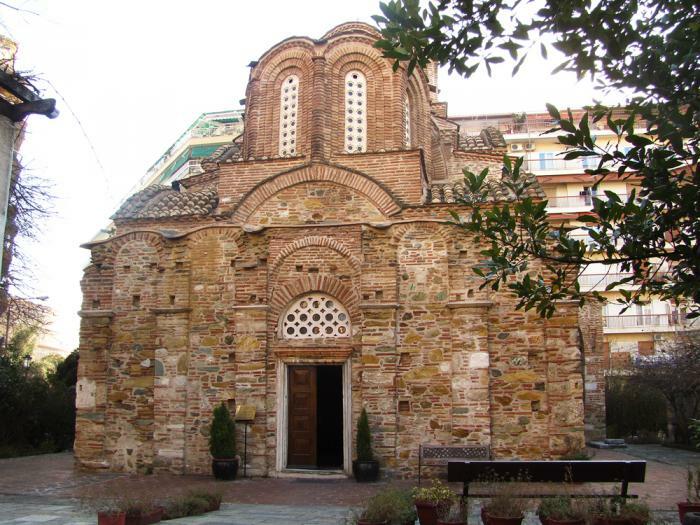 Its current dedication to Saint Panteleimon was given to the church after the end of Ottoman rule in 1912, and its original dedication is therefore disputed. 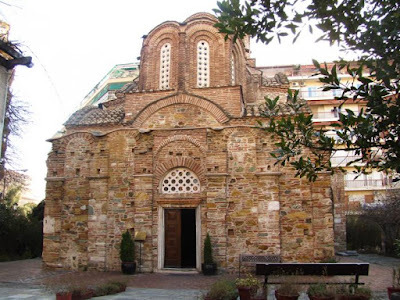 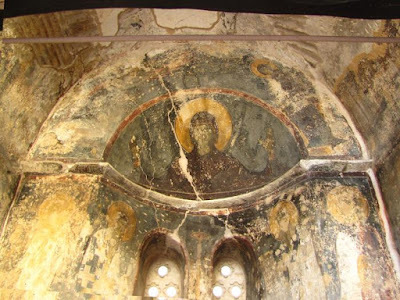 It is speculated that the name of Saint Panteleimon was borrowed from the northern chapel dedicated to the Saint of the neighboring Church of Panagouda, in which the vessels of the church were transferred when it was converted into a mosque by the Turks. In Ottoman times, it was converted into a mosque in 1548 and became known as Ishakiye Camii ("Mosque of Ishak [Isaac]"), which in the prevailing scholarly interpretation points to an identification with the late Byzantine Monastery of the Virgin Peribleptos, also known as the Monastery of Kyr Isaac after its founder Jacob, who was the city's metropolitan bishop in 1295–1315 and became a monk with the monastic name of Isaac. 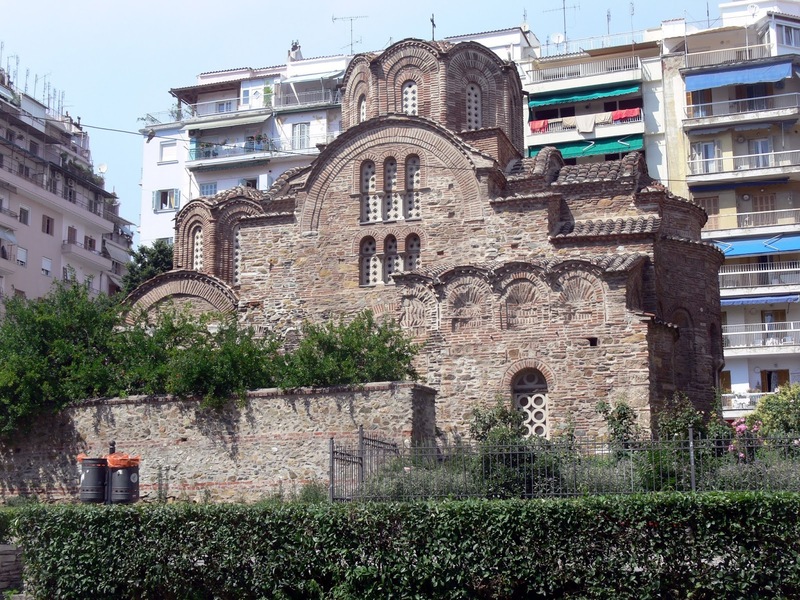 A counter-argument however supports the theory that the present church is unrelated to the Peribleptos Monastery, and that it was converted into a mosque ca. 1500, when the city's kadı (judge), was Ishak Çelebi, whom the mosque was named after. 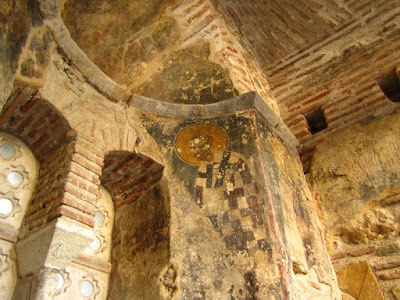 However, the church's architecture and decoration, which date to the late 13th/early 14th centuries, appear to support the former view. 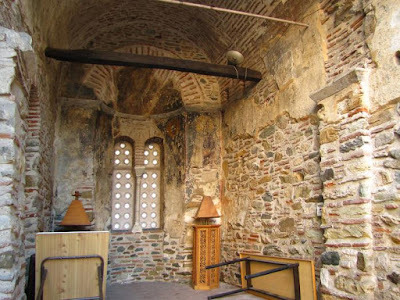 The church is of the tetrastyle cross-in-square type, with a narthex and a (now destroyed) ambulatory that is connected to two chapels (still extant). Very few of the building's original wall paintings survive. Ottoman remains include the base of the demolished minaret and a marble fountain.